Watchdog or lapdog of Big Oil? Jerry Brown perhaps should put his DOGGR to sleep. Not his family dog, Sutter, but DOGGR — the Division of Oil, Gas and Geothermal Resources — the 100-year-old agency that’s been handing out permits for drilling in the Central Valley without records, oversight or enforcement of 21st century environmental laws. The agency was created prior to Upton Sinclair’s 1927 novel, “Oil!,” on which Daniel Day-Lewis’ 2007 film, “There Will Be Blood,” was based. 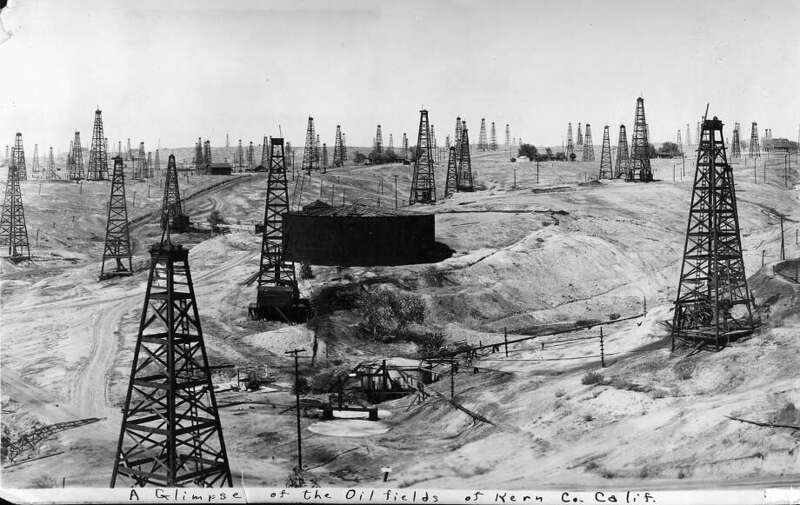 Oil was to California what cotton was to Mississippi, a booming industry based on subsistence labor, migration, racism, vigilantism, and government officials looking the other way. Times change but slowly. Current Kern County Sheriff Donny Youngblood, who says Kern ought to be a county in Arizona, opposes President Obama’s immigrant-rights policy. There are an estimated 66,000 undocumented immigrants in Kern County, whose population is majority Latino. 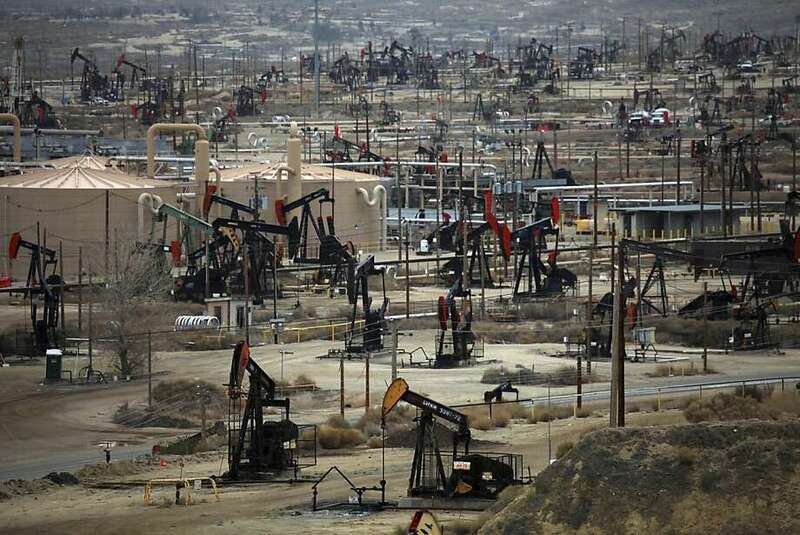 More than 22 percent of its people live below the poverty line, 69 percent of them within one mile of an oil well. The barren place is a bit like Mississippi in the ’60s, powerful enough to defy progressive norms or laws on the national level. The federal government in 1982 transferred its power to California to monitor and regulate the 42,000 injection wells that dump toxic waste fluids into groundwater. That monitoring didn’t happen, a lapse that the feds say is shocking. The human carcinogen benzene has been detected in fracking wastewater at levels 700 times over federal safety standards. Health impact studies are inadequate, but Kern community hospital managers say the county has one of the highest cancer rates in the country, which is expected to double in 10 years. How did it happen that the Obama Environmental Protection Agency is pushing the Jerry Brown EPA to comply with modern environmental law? The same Gov. Jerry Brown signed that 1982 agreement, giving Big Oil an opportunity to oversee itself. Those were the days when President Ronald Reagan’s Anne Gorsuch ran the federal EPA, perhaps convincing California that it could do a better job. As a result of the 1982 transfer, the feds say California has failed at oversight and record-keeping. With the feds watching, the state has two years to implement a meaningful monitoring plan. Brown has tried to fix the problem, which undercuts his claim that drilling and controversial fracking can be addressed by beefed up regulations instead of a moratorium on fracking that most environmentalists want. He has added more professional staff to DOGGR and installed a new director, Steve Bohlen, who promises to clean up the place. Since last summer, the agency has shut down 23 injection wells out of 2,500. The preference of one experienced state official is to peel back DOGGR, move it to Cal EPA and turning it into a real regulatory agency instead of a lapdog for the oil industry. But Brown officials prefer the uphill task of reforming DOGGR from within, and have signaled they will veto any bill that brings the agency under state EPA jurisdiction. The Legislature is going along with his incremental approach, so far. The task will be daunting. The DOGGR mandate has been to drill, baby, drill, says state Sen. Hannah-Beth Jackson, D-Santa Barbara. DOGGR’s legal mandate calls for “increasing the ultimate recovery of underground hydrocarbons,” not determining whether drilling or fracking are sustainable and safe for aquifers or human health. Her SB545 is still a work in progress, however. It stops the archaic custom of drilling permits being obtained and accepted without any written approvals or findings, which upsets the feds and shuts out the public. Until recently, an oil company simply gave notice of its intent to drill and was entitled to proceed unless the agency said no in writing within 10 days. Under Jackson’s bill, an application to drill will require written approval, and the paperwork will be posted on the DOGGR website. In addition, the bill will limit the Kern custom of keeping records about chemicals and water impacts confidential, even when a well has gone into production. However, the bill’s language makes oversight optional by saying that DOGGR “may” require an operator to implement a monitoring plan. Decision-making power is devolved to the division district deputy in Kern, which is like expecting a Mississippi sheriff to carry out federal law in 1964 — or the present Kern sheriff to enforce immigration law today. Nor does the bill give the state EPA or health experts any shared authority in the permitting process. 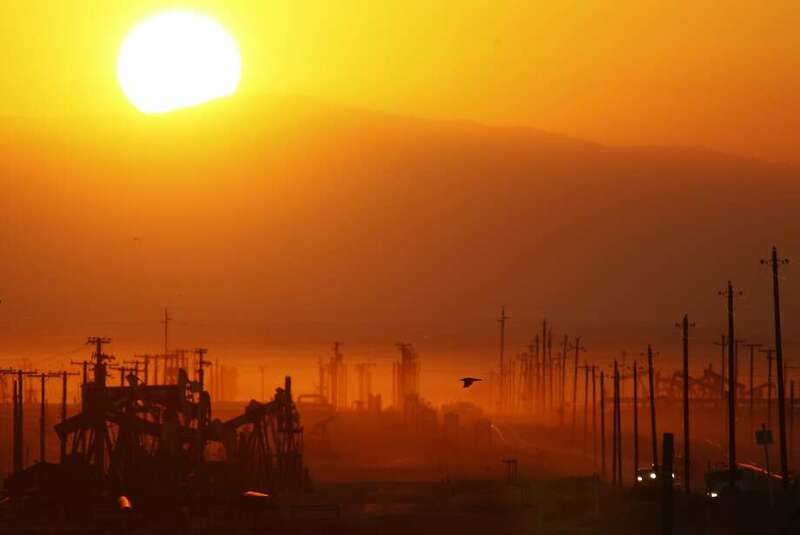 At the heart of the scandal is the historic power of Big Oil against the emergence of California’s clean-energy economy with its priorities of renewable resources and efficiency. The Democratic majority in Sacramento is hobbled by a pro-drilling contingent, led by Republicans with a number of Central Valley Democrats. The oil lobby spent $9 million in 2014 in a failed attempt to exempt themselves from the state’s cap-and-trade law. The effort was led by Assemblyman Henry Perea, D-Fresno, along with 16 Democratic legislators. In a more striking example, state Sen. Michael Rubio, D-Bakersfield, left his seat in 2013 to begin lobbying for Chevron, one of the major firms along with Occidental Petroleum operating in Kern’s oil fields. The oil lobby is spending large sums to cultivate friendly Democratic candidates and underwrite advertising campaigns warning of a “hidden gas tax” if their privileges are threatened. Many Sacramento insiders believe that Brown has made concessions to Big Oil in order to protect his considerable progress toward clean-energy goals while not confronting the industry the way he took on the nuclear lobby in the ’70s. That’s understandable, if it works. Now, however, his regulatory reputation needs rebuilding. What if his DOGGR won’t hunt? What if it’s beyond reform? What will the governor and Legislature do if facing open defiance from the powers that be in Kern on a range of issues from clean air and water to the protection of children’s health to environmental justice? With the drought on everyone’s mind, can he allow the state’s aquifers to be threatened by the carcinogenic wastewater of oil production? The DOGGR scandal drills deeply into the foundations on which state politics are built. Tom Hayden writes, speaks and consults on climate politics and serves on the editorial board of the Nation. His latest book is “Listen Yankee! : Why Cuba Matters.” (Seven Stories Press, 2015).